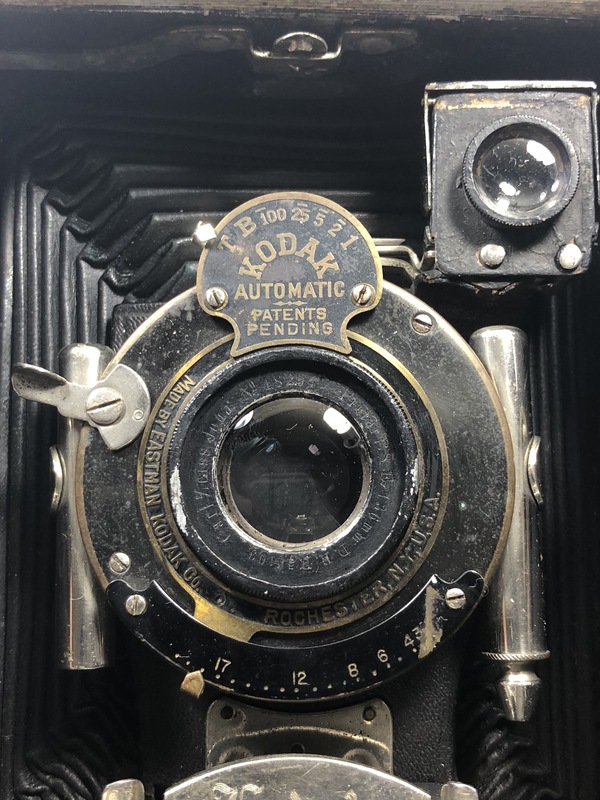 Discussion in 'Classic Manual Cameras' started by PolaroidCollector, Jun 7, 2018. New to the community here and hoping to get some tips on this camera I picked up. It is a Kodak “No. 3 Folding Pocket Kodak Model A” according to the film back. The lens says “Carl Zeiss Jena No 48294 Protar 1:8 F=136mm D.R.P. 56109”. I would like to figure out how to use it but I cannot find much info anywhere about it. The most confusing part is that the aperture goes from 17-12-8-6-4-3 with dots in between but the larger numbers are wider than the smaller ones. Any help or comments are appreciated! Thanks for the quick response, however that manual shows apertures of 4-8-16-32-64-128 and is described normally where 8 is normal and 16 or higher reduces the light. My numbers are different and go in the opposite direction (small number = smaller opening, bigger number = bigger opening). I was thinking you needed help with the camera too, instead of just the lens. Never mind. Maybe that scale is in mm for the opening size of the aperture in the shutter? The lens is f/8, so the widest aperture should be f/8. At the setting where the diameter is half of wide open, it's f/16. At 1/4 of the wide open aperture, f/32. Hope that can help in making a calibration chart. 118 size film in usable condition is nearly impossible to find, and the 118 size Nikor reel is scarce as hen's teeth. Probably most practical to tape over the red window and cut down 4x5 sheet film to fit. Bellows looks to be in promising condition. The f number, which we usually call "aperture", is the focal length divided into the aperture diameter. The focal length of your lens is 136mm. If you measure the aperture diameter for a given point in your aperture scale, you can get the equivalent f number by computing. For instance an aperture diameter of 17 mm would be equivalent to 136/17 = 8, i.e. f/8.